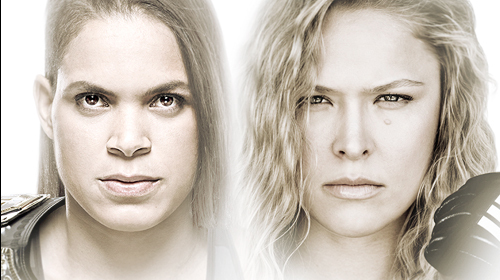 UFC 207 Nunes vs Rousey Dec 30, 2016 (3:16:19) MMA superstar Ronda Rousey will make her highly anticipated return to the Octagon on Friday, December 30 when she attempts to regain the UFC women’s bantamweight crown from champion Amanda Nunes in the main event of UFC 207. 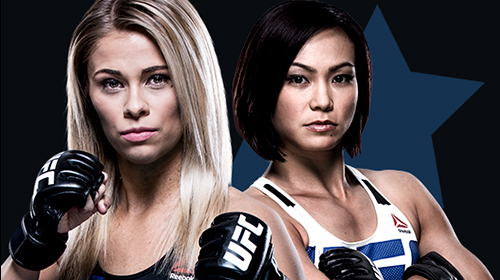 UFC Fight Night VanZant vs Waterson Dec 17, 2016 (0:00) Two strawweight contenders will look to make a move up the 115-pound ladder on Saturday, December 17th. Paige VanZant will compete in her adopted hometown of Sacramento when she faces “The Karate Hottie” Michelle Waterson in a five-round main event. Plus, it’s a clash of welterweight phenoms and stars from "Dana White: Lookin' for a Fight" as Mickey Gall makes his first start since beating CM Punk when he takes on “Super” Sage Northcutt, and “The California Kid,” Urijah Faber enters the Octagon for the last time when he faces Brad Pickett. 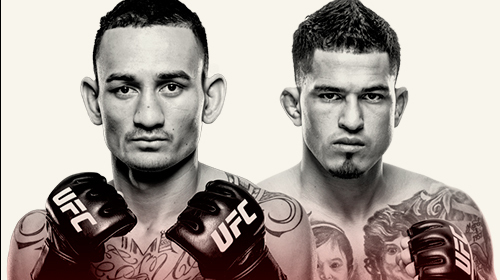 UFC 206 Holloway vs Pettis Dec 10, 2016 (2:55:57) The stakes are now even higher for featherweight contenders Max Holloway and Anthony Pettis on Dec. 10, as the winner of their bout, which is now a five-round main event, will leave Air Canada Centre in Toronto, Ontario, Canada as the interim UFC featherweight champion. 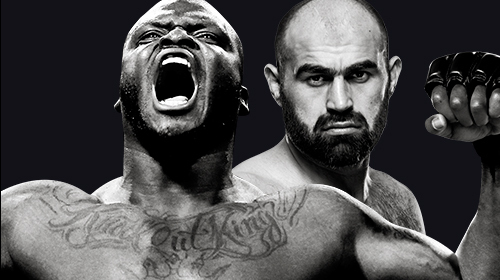 UFC Fight Night Lewis vs Abdurakhimov Dec 9, 2016 (2:04:56) A heavyweight doubleheader will headline the UFC’s first visit to Albany, New York on Friday, December 9, with Derrick Lewis facing off against Shamil Abdurakhimov in the main event, Francis Ngannou takes on Anthony Hamilton in the co-featured bout of the card, which will air on UFC FIGHT PASS. The Ultimate Fighter Tournament of Champions Finale Dec 3, 2016 (3:31:51) Demetrious Johnson puts his belt on the line against the winner of Season 24 of The Ultimate Fighter. Plus flyweight coaches Joseph Benavidez and Henry Cejudo square off in the co-main event. 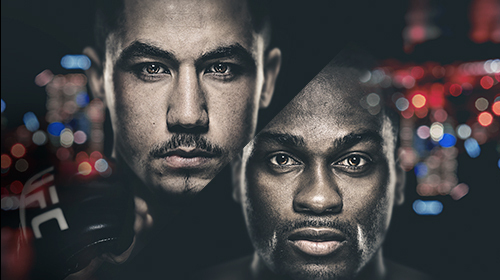 UFC Fight Night Whittaker vs Brunson Nov 26, 2016 (2:55:51) Two top 10 middleweights collide in the main event in Melbourne Australia as Robert Whittaker meets Derek Brunson. 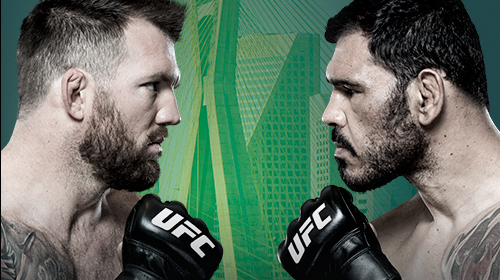 UFC Fight Night Bader vs Minotouro 2 Nov 19, 2016 (3:18:51) It's a rematch of world-class light heavyweights on November 19th in Sao Paulo when Ryan Bader takes on Brazilian star Rogerio Nogueira. The Ultimate Fighter season eight winner who has emerged victorious in six of his last seven bouts, Bader earned his first Performance of the Night bonus in his most recent bout, as he knocked out Ilir Latifi in the second round. Now, he will look to keep the momentum going by scoring a second win against Nogueira, who he defeated by decision in 2010. 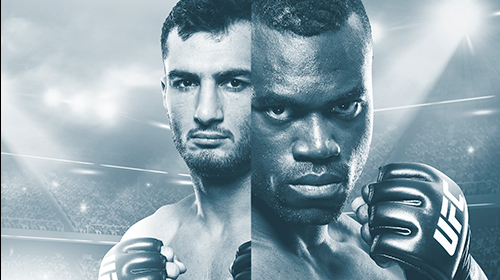 UFC Fight Night Mousasi vs Hall 2 Nov 19, 2016 (2:03:13) Despite winning five of his last six bouts and soaring to the top five in the middleweight division, Gegard Mousasi wants to avenge the one loss in that stretch, and he'll get that chance when he faces Uriah Hall. UFC 205 Alvarez vs McGregor Nov 12, 2016 (3:47:04) The wait is over. 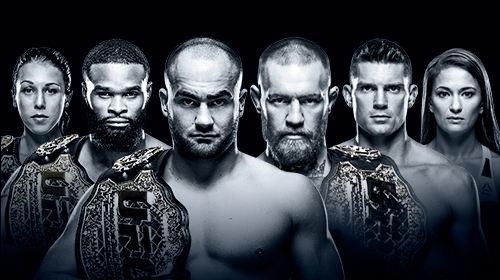 UFC 205 takes place in the historic Madison Square Garden on Saturday, November 12th and promises to be one of the most epic events in history. In the main event, featherweight champion and Irish superstar Conor McGregor attempts to become the first to hold two UFC titles simultaneously when he faces off against lightweight king Eddie Alvarez. The welterweight championship will also be on the line when Tyron Woodley makes the first defense of his belt against kickboxing specialist Stephen “Wonderboy” Thompson. Plus, Polish compatriots Joanna Jedrzejczyk and Karolina Kowalkiewicz meet for the strawweight championship of the world. 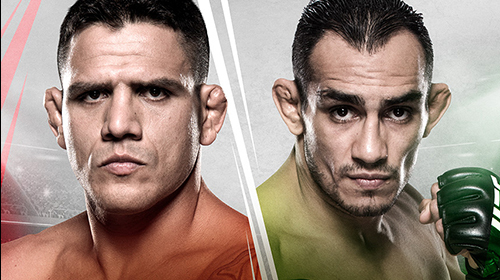 UFC Fight Night Dos Anjos vs Ferguson Nov 5, 2016 (3:31:33) Former UFC lightweight champion Rafael Dos Anjos will begin his road back to the crown on Saturday, November 5, when he faces Tony Ferguson in a five-round main event bout at Arena Ciudad de Mexico in Mexico City. 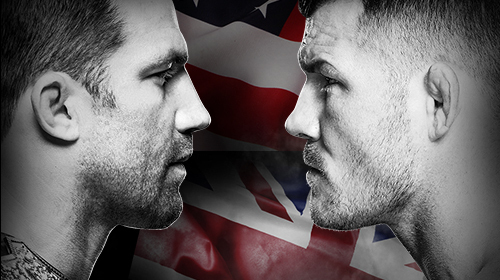 UFC 204 Bisping vs Henderson 2 Oct 8, 2016 (2:44:34) In 2016, British superstar Michael Bisping has already defeated one of the all-time greats in Anderson Silva and taken the middleweight title from the hands of Luke Rockhold. 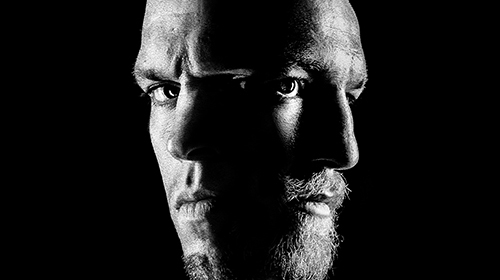 On Saturday, October 8th, “The Count” gets the opportunity to avenge his most bitter defeat when he defends his championship for the first time against legend Dan Henderson in the main event of UFC 204. UFC Fight Night Lineker vs Dodson Oct 1, 2016 (2:26:12) Top bantamweight contenders will square off in Portland, Oregon on Oct. 1, as hard-hitting John "Hands of Stone" Lineker faces "The Magician" John Dodson in a five-round main event at Moda Center. 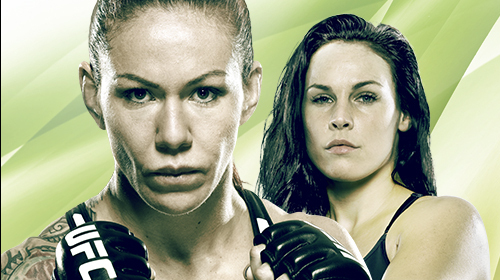 UFC Fight Night Cyborg vs Lansberg Sep 24, 2016 (3:07:35) Unbeaten for more than 11 years, Brazilian superstar Cris Cyborg will make her second UFC appearance on Saturday, September 24th when she faces Octagon newcomer Lina “Elbow Princess” Lansberg in Brazil. 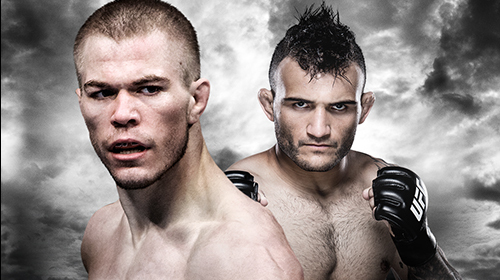 In the co-main event, former bantamweight champion Renan Barao meets Phillipe Nover in a featherweight showdown. 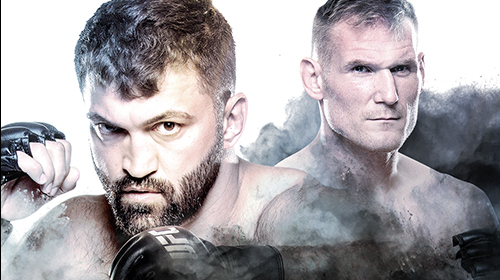 UFC Fight Night Arlovski vs Barnett Sep 3, 2016 (2:11:32) Two former UFC heavyweight champions will collide in the main event September 3 in Hamburg, Germany as #6 ranked Andrei ‘The Pit Bull’ Arlovski will face #9 ranked Josh ‘The Warmaster’ Barnett. 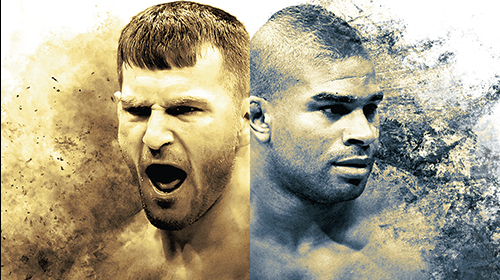 Prelims begin at 11:15a/8:15a ETPT and Main Card begins at 3p/12p ETPT. 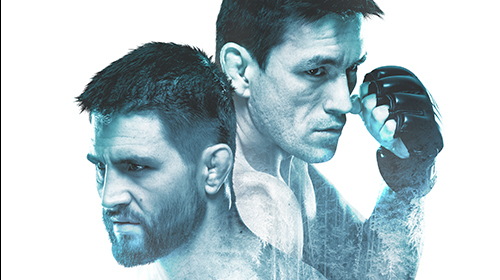 UFC Fight Night Maia vs Condit Aug 27, 2016 (2:09:14) No.3 ranked welterweight contender Demian Maia will battle No.5 ranked Carlos Condit in the main event at Vancouver’s Rogers Arena on Saturday, August 27. UFC 202 Diaz vs McGregor 2 Aug 20, 2016 (2:43:01) UFC 202 is when the highly-anticipated rematch between two UFC superstars takes place, as Nate Diaz looks to repeat his March win over Conor McGregor in the main event of UFC 202 at T-Mobile Arena in Las Vegas. 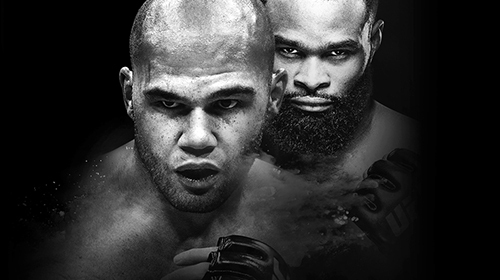 UFC 201 Lawler vs Woodley Jul 30, 2016 (2:42:42) The UFC welterweight title will be on the line as champion Robbie Lawler defends his title against contender Tyron Woodley. 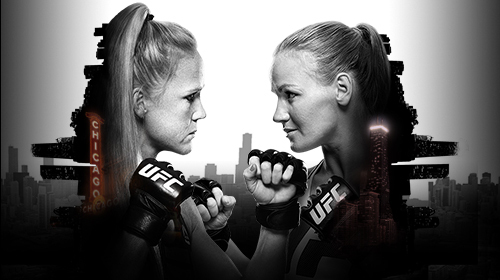 UFC Fight Night Holm vs Shevchenko Jul 23, 2016 (2:23:57) It’s off to the Windy City on July 23, and the UFC on FOX card at United Center in Chicago will see the return of former UFC women’s bantamweight champion Holly Holm, as she faces rising star Valentina Shevchenko in a five-round main event. 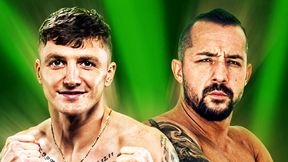 UFC Fight Night McDonald vs Lineker Jul 13, 2016 (2:43:14) The Octagon will set down in Sioux Falls, South Dakota for the first time on July 13, and the UFC Fight Night card at the Denny Sanford Premier Center will be headlined by a battle between Michael McDonald and John Lineker. UFC 200 Tate vs Nunes Jul 9, 2016 (3:15:46) 9 current or former UFC champions, 1 former K1 champion, 1 former PRIDE champion, 3 Ultimate Fighter winners, 99 Fight Night bonuses. 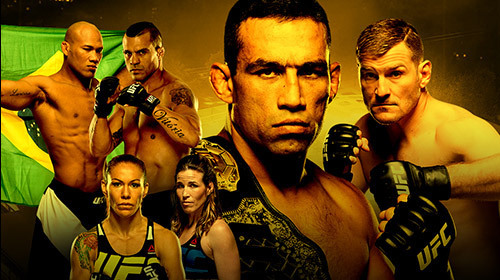 UFC 200 is the biggest, baddest card ever. 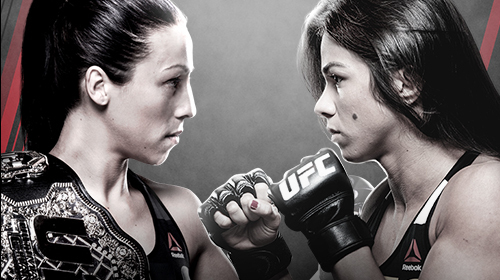 TUF Finale Team Joanna vs Team Claudia Jul 8, 2016 (3:22:01) In 2014, Poland’s Joanna Jedrzejczyk and Brazil’s Claudia Gadelha delivered a three-round war that showed UFC fans just how exciting the strawweight division could be. 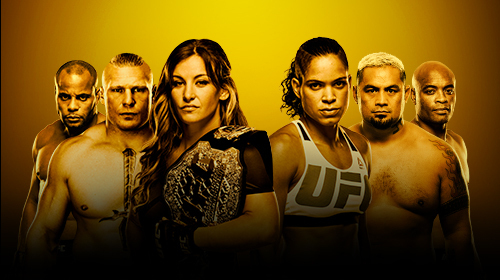 This year, they have already met again as coaches on The Ultimate Fighter, and on Friday, July 8th in Las Vegas, they will battle for the UFC strawweight championship. Plus, after surviving the toughest tournament in sports, two light heavyweight men and two strawweight women compete for a UFC contract in The Ultimate Fighter season finale, making it another night to remember during UFC International Fight Week. 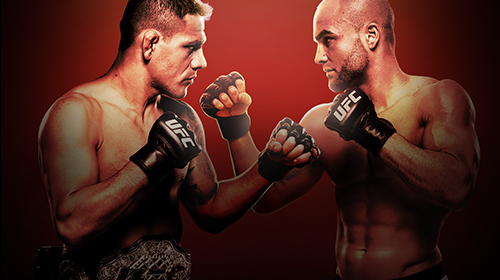 UFC Fight Night Dos Anjos vs Alvarez Jul 7, 2016 (5:35:56) UFC lightweight champion Rafael dos Anjos will defend his title for the second time on July 7, facing No. 1 contender Eddie Alvarez in the main event of a special UFC FIGHT PASS card at the MGM Grand Garden Arena. 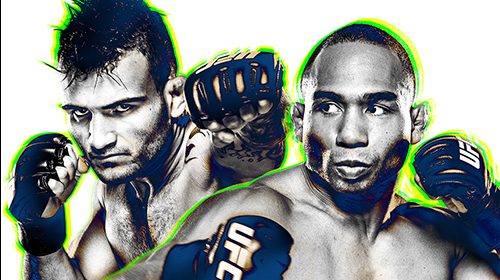 Live and Exclusive on UFC FIGHT PASS! 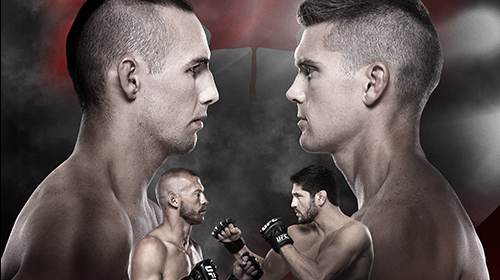 UFC Fight Night MacDonald vs Thompson Jun 18, 2016 (3:04:37) A pivotal welterweight contender fight between No.1-ranked Rory MacDonald and No.2-ranked Stephen Thompson will headline the first UFC event in Ottawa. UFC FIGHT NIGHT: MacDonald vs Thompson goes down Saturday, June 18 at The Arena at TD Place. 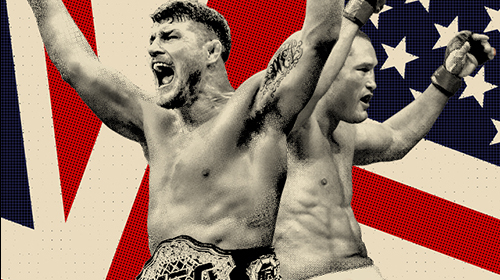 UFC 199 Rockhold vs Bisping 2 Jun 4, 2016 (3:04:53) Luke Rockhold and Michael Bisping meet for the second time inside the Octagon and this time, the middleweight title is on the line. 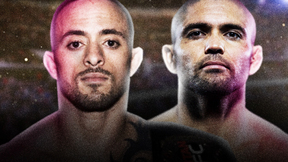 Plus, Dominick Cruz and Urijah Faber clash in the co-main event for the bantamweight title. Almeida vs Garbrandt Almeida vs Garbrandt May 29, 2016 (3:18:00) The UFC will be in Las Vegas for Memorial Day weekend, with a special Sunday event on May 29 at the Mandalay Bay Events Center. 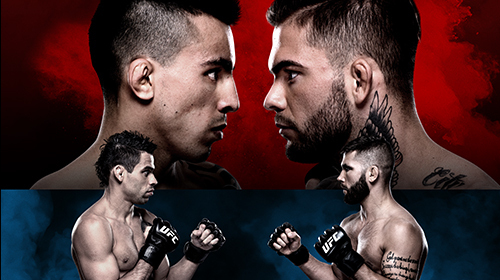 In the UFC Fight Night main event, it’s a bantamweight bout with explosive potential, as unbeaten rising stars Thomas Almeida and Cody Garbrandt collide in a bout that pits fighters with a combined 29-0 record against each other. Plus, in the co-main event, former UFC bantamweight king Renan Barao makes his move to featherweight to face veteran knockout artist Jeremy “Lil’ Heathen” Stephens. UFC 198 Werdum vs Miocic May 14, 2016 (2:45:18) The heavyweight championship is on the line as Fabricio Werdum looks to defend his title against Stipe Miocic. 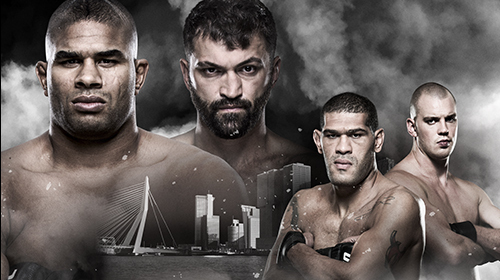 UFC Fight Night Overeem vs Arlovski May 8, 2016 (2:45:18) The five round main event in Rotterdam features heavyweight Alistair ‘The Reem’ Overeem vs former UFC heavyweight champion Andrei ‘The Pit Bull’ Arlovski. 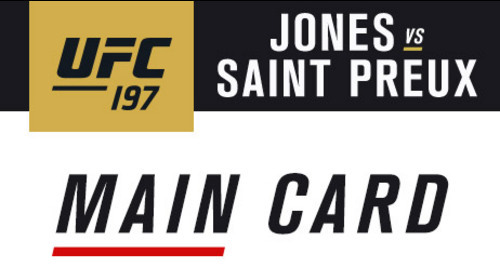 UFC 197 Jones vs Saint Preux Apr 23, 2016 (3:13:16) Two titles are on the line as Jon Jones faces off against Ovince Saint Preux. 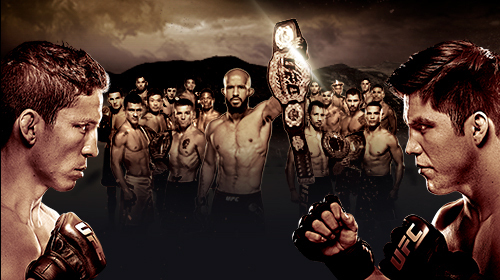 Plus, Demetrious Johnson defends his crown against Henry Cejudo at UFC 197. 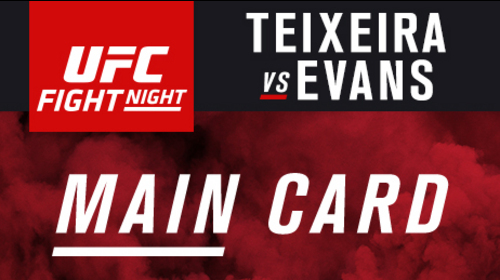 UFC Fight Night Teixeira vs Evans Apr 16, 2016 (2:10:15) In the blockbuster five-round main event, light heavyweight contenders Glover Teixeira and Rashad Evans, prepare to collide to establish hierarchy among the division's elite.